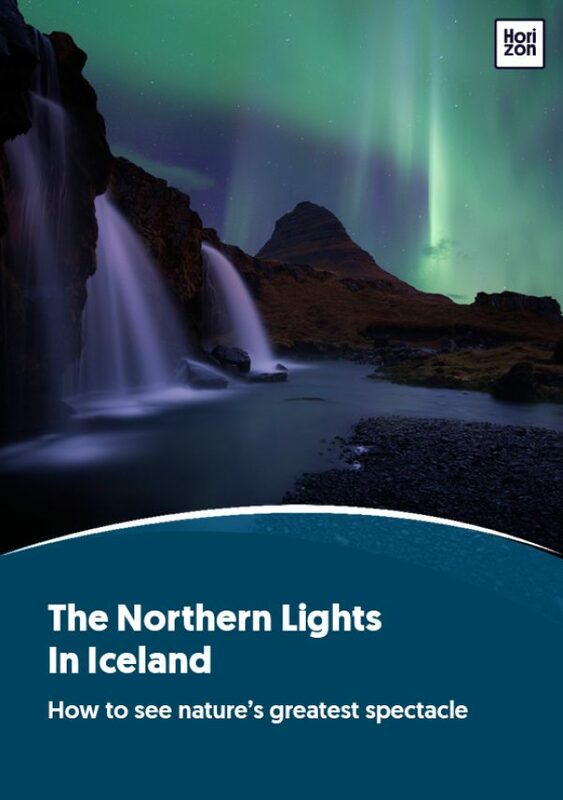 With its tumbling waterfalls, seemingly endless lakes and rivers, abundant wildlife and historic monuments, it’s not surprising that North Iceland was voted Lonely Planet’s number one destination to visit in 2015. This remote region is centred on Akureyri, the unofficial capital of North Iceland and second ‘city’ (more a town). It is an ideal base from which to see the northern lights. No wonder then, that this is fast becoming ‘the’ place for tourists to visit in the country. The northern lights season runs from September to April. Central Akureyri is as good a place as any to see the northern lights. There's no need to escape the town to see a display because the lights are so strong in this part of the world, they can easily be seen from the heart of the town at night--perfect for those who prefer not to leave their hotel! Lake Mývatn is a huge lake in the north of the country, about 30 minutes from Akureyri, filled with small islands. There are regular eruptions of steam in the middle of the lake. In the surrounding area there are lava rock formations called ‘Dimmuborgir (dark castles), shaped like castles rising from the ground. Regular day tours leave Akureyri for the lake, approximately 1 hour 15 minutes. If the weather allows for it in the winter, it is possible to hire a car and drive through the wilderness along Route 1. North Iceland is an uninterrupted wilderness, yet close to the amenities of Akureyri. Despite the size of the town, there is little light pollution to spoil your view of the northern lights. In addition to seeing the lights, there is a lot for the visitor to take in, thanks to the region’s amazing natural beauty with its lakes, cliffs, mountains, and hot springs. Of course, being a remote region has its downsides. In the winter, it is best to fly from Reykjavik to get to Akureyri, and there are few settlements outside the town. You’ll need to travel with a specialised tour company to get out into the countryside safely. Whale watching is a wonderful summer activity when the seas are calm. You can make the trip in traditional wooden boats, which take you out into the bays of Skjálfandi and Eyjafjörður. Skiing is available in Dalvik, which is about 35 minutes from Akureyri. Even when closed, the ski area can be opened up by request with two days’ notice (for more information see https://www.northiceland.is/ski-iceland/ski-area/dalvik). Dimmuborgir is a rock formation unlike anything else. The lava rocks have been naturally carved into the shapes of castles. The area could easily be mistaken for the backdrop in a Lord of the Rings film. Helgi the Lean and Thorunn Hyrna statues stand tall above Akureyri city centre. In the year 890 AD, the first settlers in Akureyri named Helgi the Lean and Thorunn Hyrna arrived after being raised in Ireland. On Hamarkot rocks, next to the police station on Brekkugata Street, Helgi established his farm called Kristnes (Christ-ness). For information on the region, see www.northiceland.is.